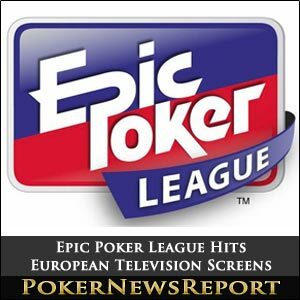 While negotiations continue between Pinnacle Entertainment – which operates casinos in Reno in Nevada, Ohio, Indiana, Louisiana and Missouri – and the EPL, the league has agreed a deal with The Poker Channel Europe to show upwards of 70 hours of the league in over 30 million homes throughout the continent, as well as the rest of the world via the internet. Federated Sports + Gaming (FS+G) vice-president of league operations and programming Katherine Kowal said: “Expanding our television coverage into Europe is a step forward for building a global fan base for Epic Poker. 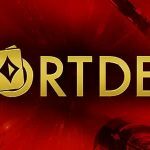 The Poker Channel gave viewers their first chance to watch the EPL last night, while a complete schedule of programmes is available at www.pokerchanneleurope.com. In the meantime, while a deal is still being discussed, the fourth EPL event of the season – to be held, as always, at the Palm Casino Resort in Las Vegas – has been postponed until some time in April or May. 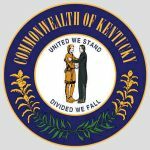 While EPL commissioner Annie Duke wrote that “player feedback about the Event 4 schedule that extends over January and February” had resulted in the cancellation of the tournament, industry insiders believe that enduring rumours of financial troubles were the main reason behind the postponement. Meanwhile, 2005 World Series of Poker (WSOP) main event champion Joe Hachem has finished third at the sixth annual Joe Hachem and Shane Warne Charity Poker Tournament at the Crown Casino in Melbourne. The 45-year-old – who has pocketed more than $11.3 million in career winnings – finished behind Glen McGregor and Alain Boratuad in the AUD$1,000 buy-in charity event that runs in conjunction with the Aussie Millions. Incredibly, 36-year-old forklift driver McGregor only came long to the event – which sees the proceeds handed to the Shane Warne Foundation to assist in helping underprivileged and seriously kids in Australia – after a friend suggested he should take part and even paid for his entry, with the winner saying that his victory is “the biggest thing ever”. 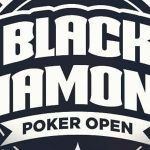 Taking part was certainly a good decision as the Melbourne native will now be heading out to this summer’s WSOP in Las Vegas with a place in the main event guaranteed as part of his winner’s package. Sydney’s Boratuad – who finished fifth for $2,049 in the AUD$200 Pot-Limit Omaha event at the Joe Hachem Deep Stack Series 5 back in November of 2010 – has secured a seat at the Aussie Millions main event with his runner-up spot. McGregor beat Boratuad to the title following two key hands. The first saw him snaffle most of Borataud’s chips when, on an eight-high board, his queens won out against his opponent’s K♦ J♥. Then McGregor’s J♦ 3♥ saw off the 10♥ 3♠ of Borataud on a K♦ 6♠ Q♠ A♥ 9♦ board for the title and his fantastic top prize. 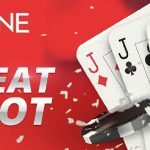 Hachem, meanwhile, collected a $10,300 seat for this year’s main event at the Aussie Millions, while 42-year-old cricket star Warne also put in a great show to finish in eighth place and collect an Aussie Millions Supershot satellite entry – as well as a cricket ball signed by himself! The other prize-winners were fourth-placed Kris McKenzie, who left with a seat worth $1,650 for the Aussie Millions Feature Event, Steven Baker (fifth), Craig Schloeffel (sixth), John Millar (seventh), Aaron Hamill (ninth), Marvin Rettenmaier (10th) – all for an Aussie Millions Supershot satellite – and Annette Obrestad (11th for an 888 poker Satellite Ticket). Among the many other sports stars and celebrities who took part were poker players Tony G, Marsha Waggoner, Clonie Gowen, Maria Ho, Tiffany Michelle, Daniel Cates, Robert Williamson III and Patrik Antonius, as well as TV personality Fifi Box, Peter Moylan – a pitcher with baseball side Atlanta Braves – Aussie Football League (AFL) players Leigh Montagna, Dermott Brereton, Jimmy Bartel, Gary Ablett Jr, Jason Akermanis, Luke Hodge and Brendon Goddard, and retired Aussie boxer Jeff Fenech, who secured world titles in three separate weight divisions.